The AFL has been off the radar for the past few weeks due to European play but now finds itself with only three more games until the postseason so it's time to get down to business! Just because the league has been on hiatus for the past few weeks doesn't mean that the status quo has changed. The Black Panthers face possibly the biggest test of all the teams after the break as they take on the leagues best team who should be firing on all cylinders the week before their matchup against the Berlin Adler. Jesse Lewis in action against the Sollerod Gold Diggers. The last time these two teams took the field in a AFL fixture the Vikings demolished the Rangers whilst the Black Panthers were put to the sword by the Giants and I expect this game to end the same way for both teams this Saturday. Simply put, the Vikings just have far too many weapons on offence for the Black Panthers to try and defend whilst the Vikings need only stop one man. Some may point to the opening game of the season as a potential indicator of the fact that this could be a competitive game as the Black Panthers only lost by 31-14 in that fixture. However since then the two teams have been on complete opposite paths as the Vikings have swept all before them whilst the Black Panthers have only managed one win against the lowly Rangers leading me to believe that the scoreline with be more in favour of the Vikings this time around. Can the Black Panther D get to grips with the Viking offence this time around? I imagine that the score will escalate quickly in the Vikings favour before falling off a little in the second half as they slowly pull their starters in anticipation off a tough matchup against the Adler. Expect the carries to be shared out between Jesse Lewis and Islaam Amadu whilst Christopher Gross takes the odd pop downfield against a weak Black Panther pass defence. Prediction: Vikings win in 44-7. If there was ever a team the Rangers were kind of glad to be seeing again it's the Giants, who allowed the Rangers to score a season high 20 points on them back in week 3. The other side of that coin however is that the Giants managed to score 58 of the own that game. What tricks will the Giants bring to the table this weekend? I would love to say that the the extended break has allowed the Rangers to get their act together and spring a surprise this week but all that comes to mind is the niggling thought that they've probably just chucked in a few more trick plays for Craig Maynard to run in the hope of surprising the opposition. Whilst offensively the Rangers have statistically had a much better year in 2013 than last season, they're defence has been so dire that they've never been in a close game. Will this year's defence ever be ready for the physical tools of Alex Gross and Alex Good? I doubt it. 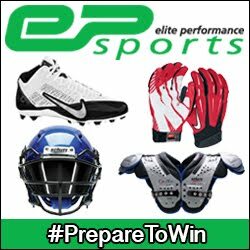 Whilst you should never look past any team on your schedule, I wouldn't blame the Giants if they've spent the past few weeks preparing for their last two games which come against mid-table rivals, the Dragons, and the league leading Vikings, games that could potentially have an impact on who they play come playoff time. In my opinion the Giants have enough skill across the board to give the weak Ranger defence more than they can take and another opportunity to crank up the scoreboard. Prediction: Giants play better defence than in their last meeting and win the game 41-13. Once again we have a game that is clearly above the other two fixtures in both quality and competitiveness as the red hot Raiders take the 470km trip to Wien to take on the Danube Dragons. You may remember that just before the break the Raiders shutout the Dragons on their home turf in Tirol to really send a message to the league in what was perhaps their most impressive performance of the season. Such a beating has probably driven the Dragons intensity over the past few weeks and I expect them to come out all guns blazing at home in order to extract revenge. For the Dragons to have a chance this weekend, Ogun needs to play a bigger role on offence. In contrast to the other two games this weekend I expect the weeks off will play a fairly significant role in how this game will play out as in all likelihood both sides will have installed some new packages in preparation for the playoffs and will be looking to work it into action this weekend to secure the win. Looking back at the last meeting between these two and in particular at why the Dragons struggled so much, I have to put a large proportion of their woes down to the fact that star player Tunde Ogun barely got a sniff of the ball as he only had three catches and three carries all game on offence. The lack of production seemed to come from the Dragons playing Ogun on the other side of the ball which is a head scratcher when he was the leagues top rusher and point scorer last season. Holding the Raiders offence to 24 points was quite a performance, but when your best player touches the ball six times and your offence scores zero points, I've got to believe that something is wrong with the teams game plan, we'll have to wait and see if the Dragons rectify their problem this weekend. Taylor - Spears could see more touches this time around. The Raiders on the other hand can probably stick to what they know by playing good defence and letting Callahan run things from under centre. However, I have a sneaky suspicion that they've used the time off to work in more sub packages for rising star Taylor - Spears, who seems to be a big play waiting to happen. If my hunch is correct then Callahan and Taylor - Spears have had enough practice time to develop a rapport that could be deadly going into post-season play. Prediction: The Dragons will at least get on the scoreboard this time, but the Raiders still win it 31-20.